How much of a reserve fund should you have? We can debate exactly how much is too much some other day, but I bet you know your nonprofit should have a much bigger reserve than it has now. Could your organization survive another Great Recession? If your organization wants to exist to serve others in the long run – which most nonprofits do – then I suggest that you budget effectively for the long run by proactively setting up a Long Term Investment Fund. Liberally forecast expenses for programs/activities that you would like to undertake. If you follow this faithfully then you should produce a solid surplus every year that can go into your Long Term Investment Fund (reserves). And yes, you will probably have to cut some funding from programs in the coming year in order to meet the surplus and reserve targets. Maybe you don’t get all the way to the 2% targets in the first year you do this, but I encourage you to work toward them. Otherwise, you will never have enough of a reserve. 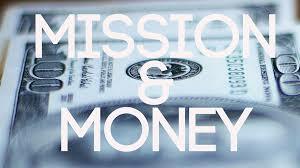 This is really not about Money vs. Mission. It is about Mission today or Mission today AND tomorrow. It is hard to discipline one’s self for today because you are CEO now or Board Chair now, but you need to think of tomorrow and being prepared to withstand another Great Recession. Those you serve will need you then even more than they do now – and you need to be there! *Forecasts are reasonably predictable – based on data. Goals are what you WANT. Forecasts are what you are sure of and they belong in budgets – not goals.